Customize your workflow to meet the needs of your ultrasound lab with EchoPACTM. Workflow that works for you. Perform your post-processing offline—even multi-dimensional analyses—on images that retain the same excellent quality as those originally acquired and viewed on your ultrasound system. Help to optimize your workflow by deciding when and where an echo exam is accessed, reviewed, or finalized based on your scheduling needs, and the expertise of your team. This may help free up your system for additional exams — for efficient workflow, high patient throughput, and productivity. 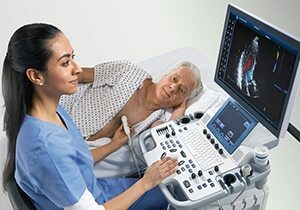 Using the “raw data” from the point of data capture on the Vivid ultrasound system, EchoPAC helps you achieve efficient workflow and productivity. Our innovative software allows you to shift more of your analyses and workload from your ultrasound system to your workstation — providing workflow and productivity benefits. Shift analyses and workload to a workstation. Advanced analysis technologies helps enhance your clinical confidence. These tools provide you cardiovascular information to help boost your diagnostic confidence. With TruScan, your ultrasound data is digitally acquired and stored in a raw state to preserve its integrity. The resulting images can then be viewed, measured, optimized, and analyzed from the ultrasound system or workstation at any time, without losing any of the original image quality. Advanced analysis technologies enhance your clinical confidence. *DICOM is the registered trademark of the National Electrical Manufacturers Association for its standards publications relating to digital communications of medical information. 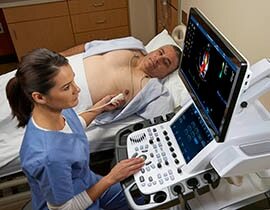 Count on GE to help optimize the performance of your vital ultrasound assets. Our maintenance service offerings all deliver one thing - confidence. healthymagination is our commitment to continuously develop innovations focused on reducing cost, increasing access, and improving quality of patient care. EchoPAC's AFI is healthymagination validated. You can view the AFI healthymagination Fact Sheet and the AFI healthymagination Validation Summary. You're invited to join the club. We invite you to join the Vivid Club, a network of thousands of fellow Vivid ultrasound users. Club membership gives you access to many tools and resources which are only available to members, helping you experience the full power of your Vivid ultrasound system. Members are regularly informed about developments in Vivid ultrasound technology and provided with special offers and opportunities which are announced on the club's own Vivid Club website. Discover a simple, fast, and efficient way to create and share professional ultrasound reports. With ViewPoint 6 you’ll enjoy the confidence that all vital exam information is structured and accessible on one screen, with critical values visible in one view. 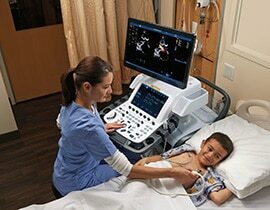 Minimize your time on ultrasound documentation. Maximize the accuracy and consistency of your reports. new heights of care efficiency and effectiveness. 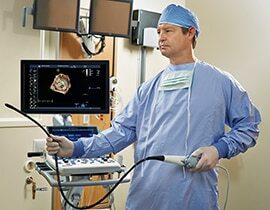 Cardiac and shared services, together like never before from GE.